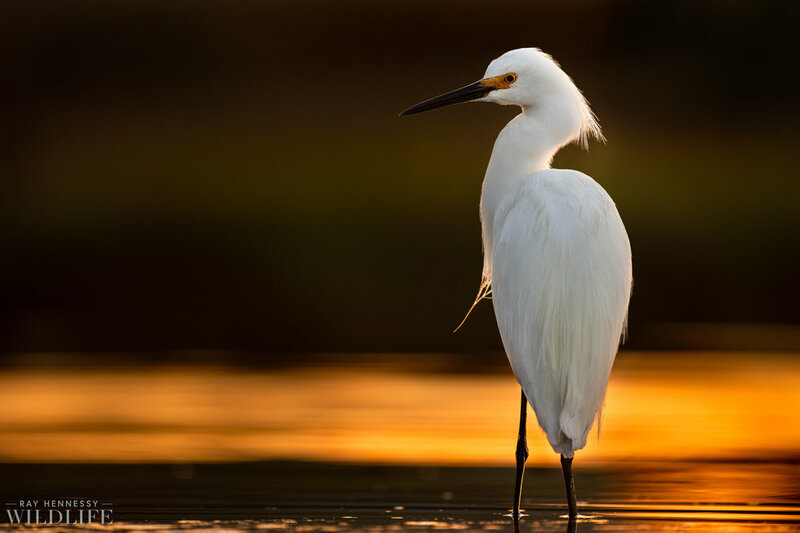 An elegant Snowy Egret stands in the shallow water as the sun shines on from behind the bird. It was just after sunrise and the soft orange glow of the sunlight allowed me to keep plenty of detail on the white bird and also capture the great orange glow in the water behind it. I often forget how incredible the ability modern digital cameras have to be able to capture so much detail to allow for a photo like this.